In the 1930s, the U.S. government sent photographers to all the states to capture America "at her most vulnerable." President Franklin D. Roosevelt's team wanted a record of what was going on -- and images of real lives and struggles to help rally support for his New Deal policies. 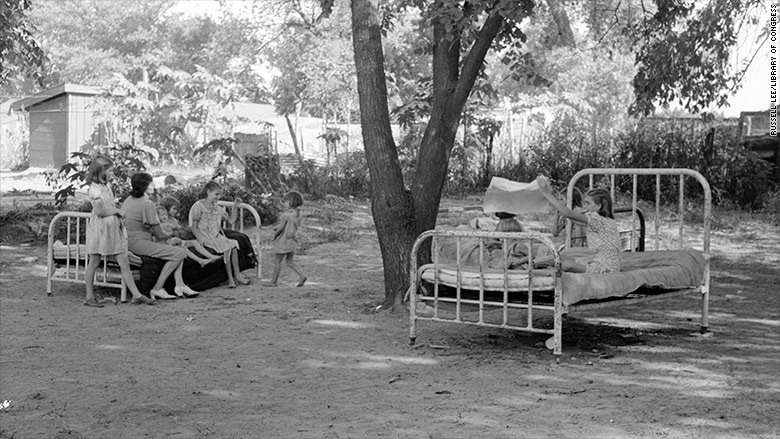 Over 170,000 images were taken between 1935 and 1946 such as this one of a family that didn't even have shelter at a camp in Oklahoma City, Oklahoma. Yale University and the Library of Congress have just made the entire collection available online on a site called Photogrammar.